Holy mackerel, that is a long and possibly insane article title! Well, considering this is like a gosh-darn internet tome about modern Batman or something, I guess it is appropriate. 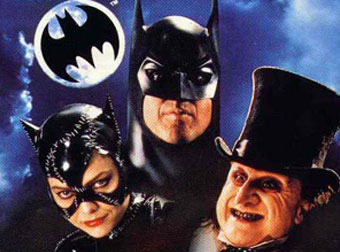 For today, I shall endeavor to summarize some key points within the universe of modern Batman media and highlight some delectable music tracks from the soundtrack of the 1993 Sega Genesis adaptation of the motion picture, Batman Returns. To my knowledge, the only Batman games that have been really good are for Super Nintendo. Those are: ‘Batman Returns’ and ‘The Adventures of Batman and Robin’. 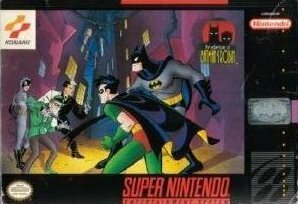 There is also supposedly a decent Game Boy version of ‘Batman: The Animated Series‘ but I have not played that one (I would like to). But with that being said, many of the Batman games have had musical scores of exceptional quality, starting with the Batman soundtrack for the original Nintendo/Famicom. I actually played the whole 18 minute NES soundtrack on my university radio show a year ago, in an attempt to awaken the sea of lost souls that is my university’s campus (it was a minor success: one guy did call in while he was driving drunk to tell me he agreed with everything I had said on the show). The original Batman game has pretty typical gameplay. And I guess with an original Nintendo controller it’s hard to take full advantage of Bruce Wayne’s awesome, rich-person utility belt. It’s like trying to invest on the stock market with the income of a US school teacher. It can be done, but it ain’t pretty. 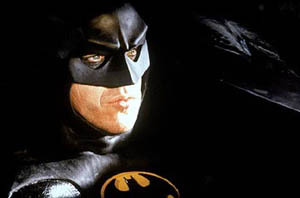 Movie-wise, I think everyone can agree that the first two Batman movies are the only ones that come close to representing the characters from the saga (I really think they could’ve cast Gary Oldman or Willem Defoe as the Joker to much greater effect). They’re the only movies that actually mesh the comedy with the dark atmosphere effectively. Couple that with the fact that the first Batman was made in the 1980s, and you have a winner. 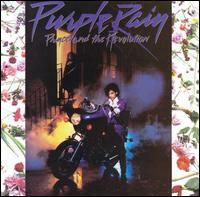 And the soundtrack was done by Prince?? What?! Honestly, it’s always strange that there are any lousy things associated with Batman. How can you even mess his story up? He’s a memorable character in a world in which the main problem with most games and stories is that the characters are just so damn unmemorable. Like, just slap Batman in a good platformer and you have a veritable goldmine. But for some reason, the people who get hired to make these games with franchises usually have lousy, bland game ideas. So we have a bunch of half-assed platformers which sell half-assedly because Batman or Spider-man is pasted on them. Luckily for us, the music in Batman games has generally been super rad. I remember going to buy a Sega Genesis/Megadrive game when I was 8 and having to choose from a mediocre selection of games that I was in no way informed about (I was living in Switzerland and besides, that’s not entirely true: I had seen advertisements!). 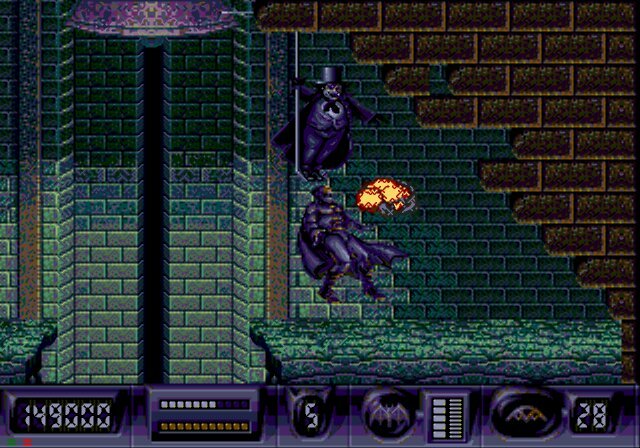 I chose Batman Returns, and while the game is/was lacking in the gameplay department, it had some cool music. I’m also way glad I didn’t buy some other garbage like Batman: Return of the Joker, or Home Alone. And don’t snicker, ‘coz I was considering ’em. The music in this Batman was done by an American sound team, unlike the other contemporary Batman console games, which had been scored by Naoki Kodaka. My guess is Kodaka-san worked for Sunsoft, who had the Batman license to the other games (and I think the SNES ones) but not the Batman Returns movie license for Sega games. 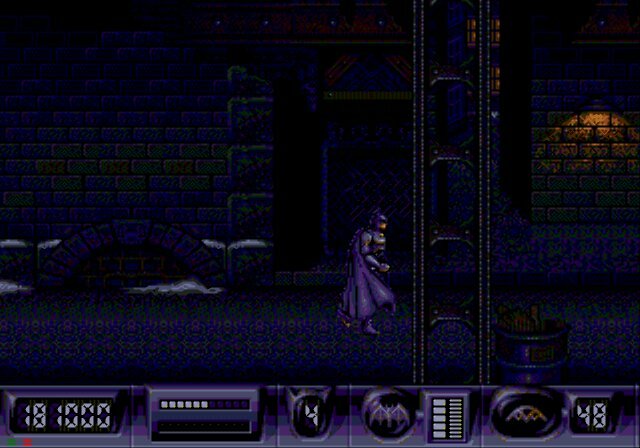 Let us break it down: Batman Returns for SNES is all-around a great game, probably as good as- or better than, the finest of all Spider-Man games, Maximum Carnage. Like Maximum Carnage, the the SNES game is a Final Fight/Double Dragon-style brawler which does also throw in some crazy platformer elements occasionally. The accompanying music is all over the place, extremely ambitious and quite professional. It captures the movie’s atmosphere most effectively and the sound quality puts the Genesis game completely to shame. My thinking when buying the Genesis Batman Returns was that I had both played the SNES version and seen good things printed about the Sega CD disc of the game. Little did I know that neither of these had much to do with the Genesis version of the game. The game itself had enjoyable elements, but the package wasn’t entirely smooth. I think this was due to a poor combat system. Fighting many of the enemies was kind of frustrating and not that much fun, whilst other elements like swinging around on the grappling hook and gliding with Batman’s cape were quite pleasurable. Also, the game wasn’t that easy because I always lost interest around the third stage. Batman must have some serious nightmares considering every criminal he hunts down turns out to be a pathetic, self-loathing, depressed, unloved child who just didn’t have as much money as him. Seriously…wouldn’t Batman be a villain himself if he wasn’t so damn rich? Because then he’d have to exploit people to get his money. I’m just sayin’… I guess we should be glad Bruce Wayne didn’t go into politics. ~ by chaosrexmachinae on January 11, 2008. Dang, when I searched for Ironsword’s music and you came up, as I said I was in a hurry and didn’t have much time (I responded back, albeit in the comment section of my blog) but Ironsword, Return Fire, and Batman Returns (Sega CD) were all in that post…maybe I put them all too low then as most people don’t talk about any of the three. Plus, you have articles about the Mega Man soundtracks….guess I’ve got to come back. Since Mega’s 20th anniversary back in December, I’ve made it my goal to beat all the original series in order. I just finished MM6 this morning and its on to 7, which outside of the Annivesary collection put out a couple years ago I’d never touched. But cheers, I’ve got to come back and read some more. Hey Jeff, glad you made it over again! Yeah, I always hope to blog about things no one else is writing about online, so I’m pretty stoked that it worked out that way. Your blog has a plethora of gaming info, so I hope people take the time to check it out!